Apple has officially said goodbye to its Thunderbolt Display which leaves a gaping hole in its line-up. LG has stepped in to fill the gap. The LG 27-inch UltraFine 5K and 21.5-inch UltraFine 4K are the displays that the Korean company is offering to fill the space left by Apple. Why would you want one of these screens aside from the extra space and super high resolutions? Ports of course. Now that Apple has gone all USB-C with its new MacBook Pro line these screens can offer help. They mean that the new MagSafe-missing MacBook Pro models can charge over the same Thunderbolt 3 connection that dishes out the video, audio and data. Apple has endorsed the models as they offer three USB-C ports on the back, FaceTime ready cameras and seriously high resolutions. The 27-inch model boasts a 5120 x 2880 display for 218ppi while the 21.5-inch unit gives a 4096 x 2304 resolution for 219ppi. Why Thunderbolt 3? You can adjust screen brightness and speaker volume without the need for dedicated monitor buttons or a separate cable. 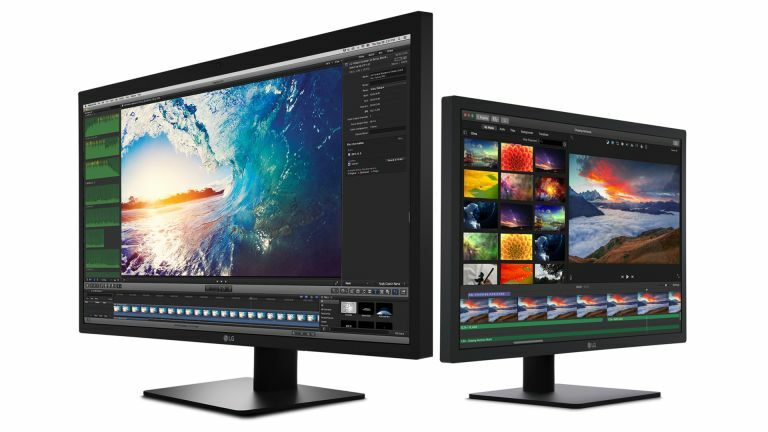 The LG 27-inch UltraFine 5K will cost $1,300 while the 21.5-inch LG UltraFine 4K is $700 - both are available for pre-order now for shipping in December.